A great horror movie from John Carpenter and Stephen King! ﻿Christine is a horror movie from legendary filmmaker, John Carpenter. It is based on the Stephen King novel of the same name. It was made during a low period for Carpenter. The Thing had just failed at the box office and he didn’t want to make this picture. But it is a solid choice for satisfying that stray fear craving. Arnie is a nerdy teenager. Bullied but finds refuge in his lone friend Dennis. That is until Arnie becomes obsessed with his possessed car, an evil 1958 Plymouth Fury named Christine. Now, those that are close to him are worried. They see a change. Then people turn up dead. Could Arnie be offing the people that are wronging him or, is the car doing it? It’s confusing to know what or how Christine works. She has been possessed. But she can also affect people in a telepathic way. 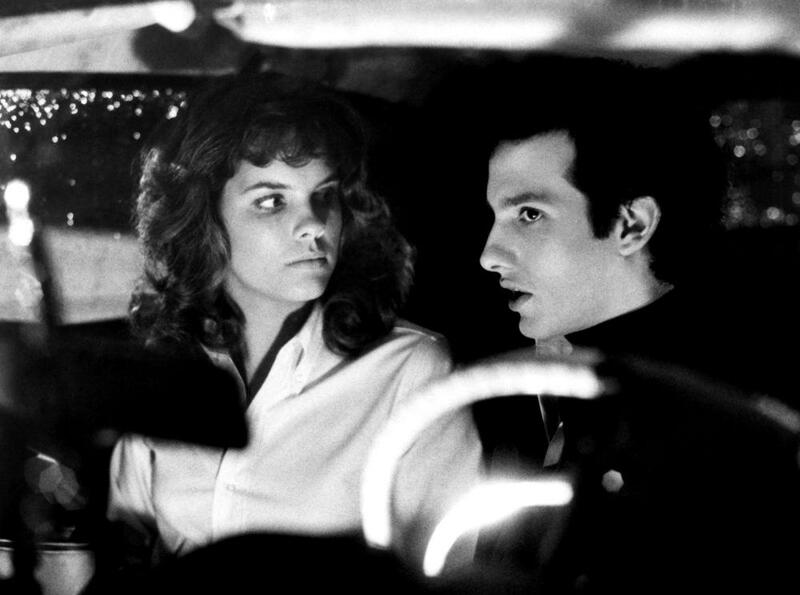 At the Drive-In, Christine makes Arnie’s date, Leigh, choke on a hamburger. It closes her throat or something. Music gets louder. Lights on the dashboard brighten. Doors lock. But that’s what’s scary. The ignorance. You never know. 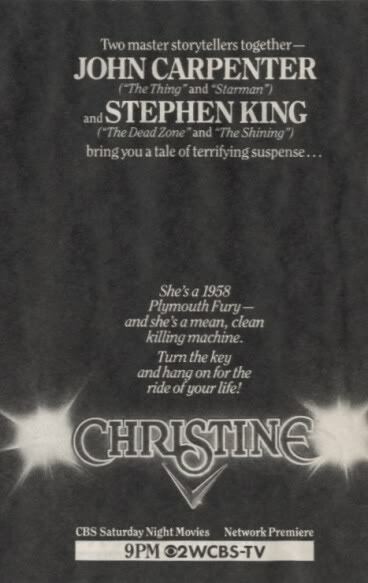 And Christine is such a devoted killer. She will destroy herself for bloodlust. She knows she can come back. It’s a car that's an unrelenting killer. Christine is a perfect movie for this time of year. It’s so dark, moody and dreary. Early John Carpenter films are so damn good. I love his commitment to the craft, it’s on display here. The scenery that the filmmakers paint is so detailed. So alive. It’s complemented with an amazing soundtrack of these creepy fifties tunes and Carpenter’s signature synth. The cast is fantastic. Keith Gordon is our lead, Arnie. At first I wrote him off as a stereotypical nerd. Gordon made it much more. John Stockwell is with him as always, Dennis. Jim to his Marlin Perkins. Harry Dean Stanton, Alexandra Paul, Robert Prosky and William Ostrander are all great too. Harry Dean Stanton is great as the detective. I love his slyness. Rest in Peace, Mr. Stanton. I cannot suggest Christine more. It’s a Stephen King feature by John Carpenter. This has gone down as one of the better King adaptations. Even though it veered. 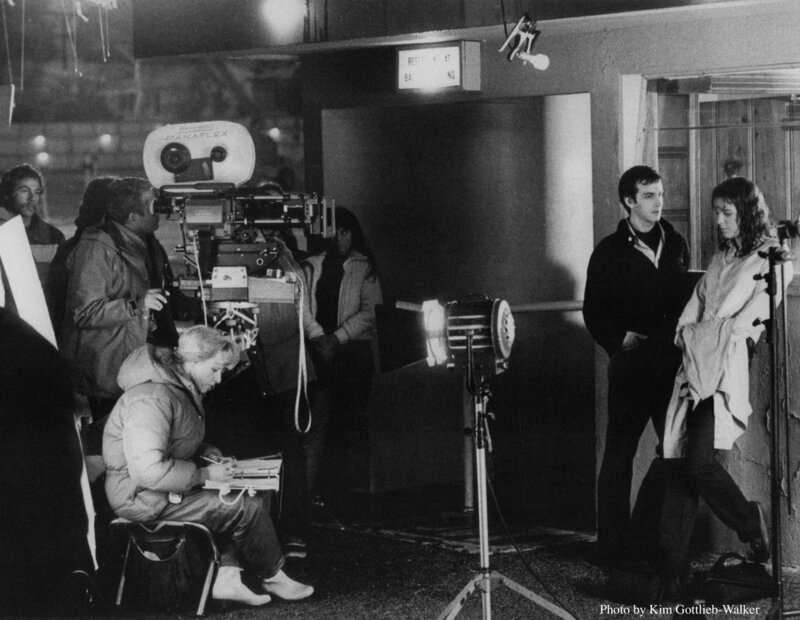 Carpenter may not look at the film positively, but it is more than just a JOB piece. This movie is good. If you don’t find it frightening, then I think you might still find it entertaining.